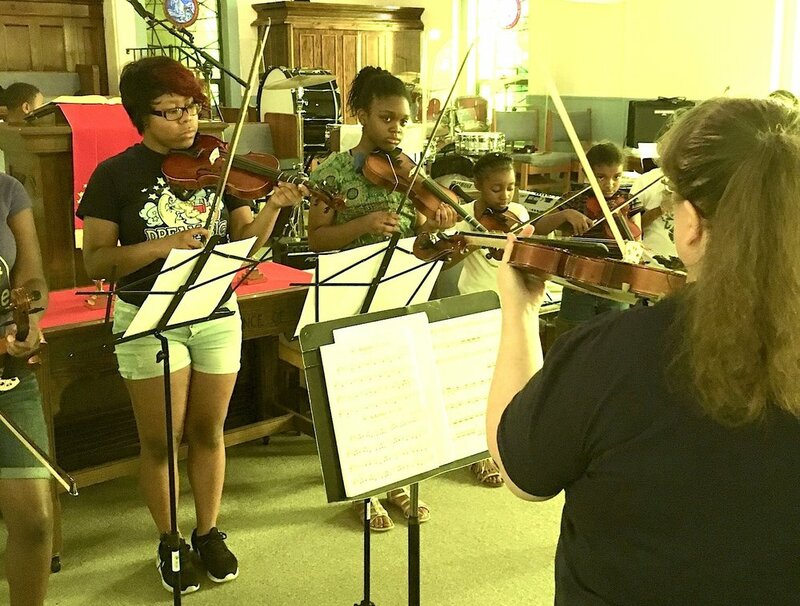 Located in Baltimore, Maryland, "B-Sharp" is a summer music enrichment academy for students ages 8-18. We adopt the attitude that when young children are consistently engaged with music in a safe, christian based, age-appropriate, socially accepting environment, they benefit at many levels including social-emotional, physical, spiritual, creative, quantitative, and early literacy. And of course they develop a lifelong love of music. Find out about our camp, mission, our methods, and what instruments we provide instruction for. Ready to take the next step? Learn about camp fees, how you can register online or by mail. Music is about communication, creativity, and cooperation, and by studying music in schools, students have the opportunity to build on these skills, enrich their lives, and experience the world from a new perspective.